6oz. (175ml.) This is a five cup set complete with saucers. 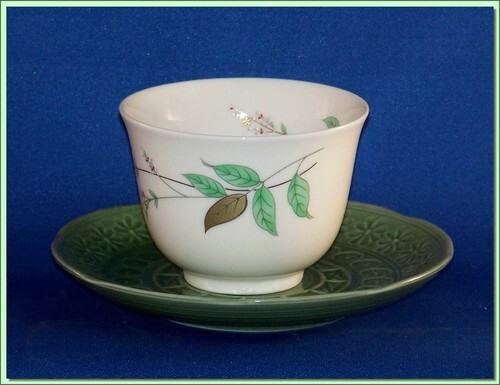 Attractive leaf design with gold highlights and a matching green saucer with each cup.